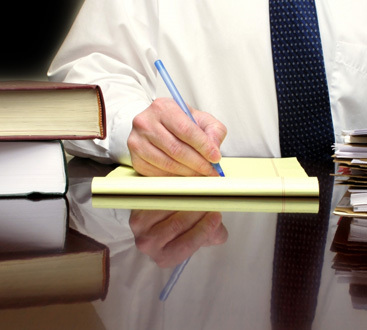 Personal Injury Lawyer Boca Raton: Which Injuries Require a Lawyer? 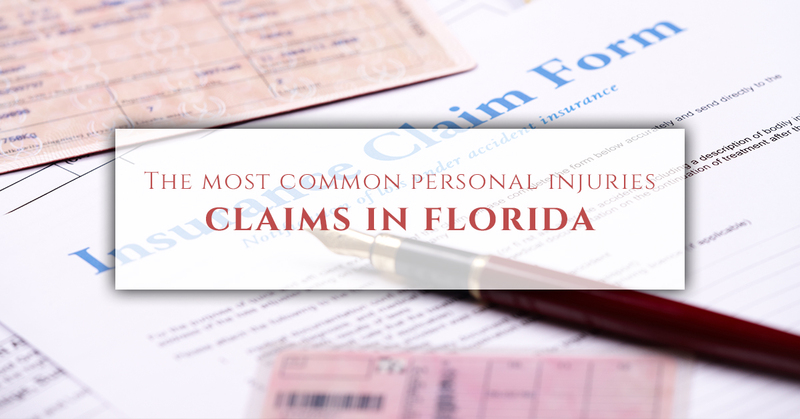 It’s difficult to compile exactly how many personal injury claims are filed in the United States every year, but estimates range from 400,000 to 700,000. What we do know is that about 95% of them are settled outside of court, meaning only a few thousand cases ever make it to a courtroom. As a personal injury lawyer in Boca Raton, we’ve handled our fair share of these cases and know the life-changing impact they can have on the victim. But where are all of these cases coming from? We dug into the numbers and what we found both in Florida and on a national scale match what we’ve experienced in our law office. Here are the five most common personal injury claims that lead people to seek legal representation. Have You Experienced Any of These Common Personal Injuries? The National Safety Council reports that more than 40,000 people died in car accidents in 2016. Millions more experienced life-changing injuries. Florida alone saw nearly 375,000 traffic crashes in 2015 (the last year statistics are available), meaning there was a car accident approximately every ninety seconds in the Sunshine State. It’s enough to make you want to stay home and avoid road travel. When you see those numbers, though, you can quickly see why car accidents are the number one reason people seek the help of a personal injury lawyer. 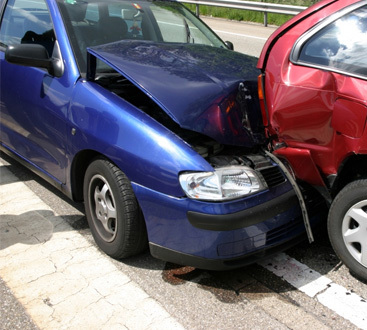 Car accidents can result in huge medical bills and injuries that prevent a person from being able to work. The cause of the accident is all-too-often preventable, as well. Drunk driving is still a common cause of auto accidents. Increasingly, though, auto accidents are being attributed to distracted driving, usually caused when drivers are looking at their smartphones. It only takes a second to get in an accident. It’s difficult to estimate the number of deaths and injuries that are caused by medical malpractice every year, simply because all too often those cases go unreported. But it’s estimated that medical malpractice causes between 25,000 and 120,000 deaths every year with hundreds of thousands more being injured. The Washington Post reported in 2016 that medical errors are now the “third leading cause of death in United States.” Only about 2.9% of the victims go on to make a claim. The impact of a medical error in someone’s life can be shocking. It can make an already stressful situation of an illness or injury all that much worse and all too often results in the death of the patient. Perhaps the worst part is that the victim went to the doctor or hospital for help only to find their lives have been changed for the worse through negligence. Many people mock slip and fall personal injury claims, thinking of them as a “get rich quick” scheme. The truth is slip-and-fall cases can result in devastating injuries such as brain injury, paralysis, and even death. The Centers for Disease Control reports that 31,959 people died as a result of an unintentional fall in 2014. They are no laughing matter and are often caused by negligence. The medical bills and lost time at work can put the victim into deep financial debt and affect their entire family for years to come. That’s why personal injury claims in these cases are so important; they can help the victims pay those medical bills and ensure they get the treatment they need in order to get their lives back to normal. Manufacturers have a responsibility to create products that are safe for consumers to use. When they fail to meet that responsibility, it can result in injury or even death. Product liability claims are another common personal injury case, and they can range from anything from tainted pain relievers to defective car parts to massive class action suits against cigarette manufacturers. When companies don’t disclose the potential dangers of their products or fail to make them safe for consumers in the first place, they are placing profits above the health and safety of their customers. That sort of corporate greed should be punished. There are hundreds of thousands of claims in the United States each year and the majority of these cases are settled out of court. Florida residents might have an understandable fear of being bit by an alligator, but it turns out that they should be more concerned about the neighbor’s fluffy pooch. An incredible 4.5 million dog bites occur every year in the United States. About one-fifth of those will require medical attention. Dog owners have a responsibility to control their pets at all times, so if their beloved pet does end up taking a bite out of you or a loved one, then the owner should be held responsible. Not only are dog bites very painful, they are at high risk of infection and can bring on other diseases such as rabies or pass on bacteria such as Pasteurella. Some dog bites can result in fatal injuries; small children are at the highest risk. If you’ve been the victim of incidents such as these, we want to help you recover the compensation you deserve. Don’t let someone else’s negligence result in your pain and suffering. We’re passionate about helping people recover from personal injury cases and get the care they need. Contact our team today to learn more about how our personal injury lawyers can help you. Give us a call or contact us using the form on our website and schedule a consultation with our legal team right away.